How does it feel to leave your country and live amongst people of unfamiliar language and customs? What are the challenges of presenting Jesus in a culture where traditional Christian practices hold no meaning? How can the church reach out to a society which is built on the foundation of a different world view? What is the life of a missionary really like - behind the smiles? "Through the stories of fun and tragedy, breakthroughs and setbacks, glorious church and genuine failure, Jane shows us what following Jesus in cross-cultural mission is all about." Missionaries, particularly long-term missionaries, are a part of my childhood. I remember growing up in a fairly busy church that supported many different missionaries individually and the organisations behind them. When those individuals came home on furlough they often came and shared at our church, often meaning longer services or extra talks after the main service. Which would have been fine if I wasn't already a bored child at that point! I can't remember all of them, some made an impression of their work, others had less impact. As a child I never appreciated the hardships faced to go to the mission field, or their burning desire to encourage people to consider whether they had a calling to support or even go and take the Gospel message to the wider world. Thankfully Jane Fucella is not on a recruitment drive or appealing for money with this book. Thinking about it missionaries almost seem to be a thing of the past, if there weren't certain organisations that I still hear from then my more recent church experience of missionaries would be non-existent. So it is good to see in this book that there are people like Jane and her husband Mike who have been effectively serving God in Thailand for many years, although for now they feel that they have been called back to Scotland for the next period of their service of God. It is with this perspective that Jane has written this book, looking back at their time back in Thailand and recounting their experiences and telling their stories. 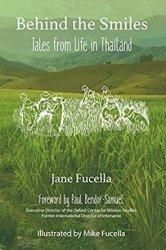 The book starts with an overview of the areas that they served in whilst in Thailand and this is done in chronological order with some simple details of the villages or communities and projects that they were involved in. From this point on Jane deals with the stories by topic so these see the events through the different times and villages, which means that the opening information can become a handy reference for reading the rest of the book. As you read it takes a little while to get your head around the different people groups that are mentioned that Jane and Mike worked with. There are a number of groups mentioned including the Karen and Isaan peoples and both of these sub-cultures have their own needs and their own values for life which are different to other groups. So there are many stories to tell of cultural faux-pas that were made in the early days of living amongst them some of them funny and some with a more serious side. As they live alongside these people, interacting with them daily and getting involved in community life they become more accepted. I love this idea that they actually got involved not just with the church on the ground, but heavily involved in those aspects of community life - so that all though they would always be outsiders they seem to have been loved, respected and accepted by most of the local community which paves the way for those people to see Jesus teachings lived practically as possible among them. The love is a two-way street and this book is overflowing with love for the people that they spent time with. There is a real heart for these people conveyed strongly in this book particularly in the moments where Jane talks about the care for the dying and the respect given those who in their own cultural tradition would have none. The tireless work to care for the sick and the orphans comes through this book this is the ultimate in practical evangelism which Jesus most definitely talked about. There is much for the church in the UK to consider how we, as believers, bring social action to our communities and at the same time we don't lose the message of the cross, because people need the spiritual in the long term and the practical right now! There is some comment about this but it's not heavy or preachy but it certainly makes the point about meeting the needs of these people physically and emotionally as well as spiritually. Within just a few pages of the main part of this book I probably could have written much of this review. Sometimes a book like this can fall flat as it tries to express years of experience and all the stories entailed and it just becomes an unreadable jumble. Even when they are readable there can be a failure to engage with the author or their heart behind the book. This book does not suffer from these problems as I have already expressed about the heart, but the stories are not a jumble, they are well organised into the topical chapters and the flow of the text is good too. 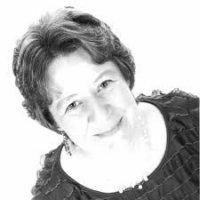 Occasionally the text is broken by articles previously shared by Jane in other mediums and their is even some poetry from their daughter as well as a few other snippets. These serve to give insight into life, emotions and challenges as well as the lighter moments. This is written beautifully from the beginning with a bit of a deprecating humour and I can imagine the eyes of the author shining or welling up with tears as she recounts some of these events. "Behind The Smiles" itself refers to the Thai people's attitude to social nicety. It is the height of rudeness to raise your voice, as a soft-spoken culture, and the people are known to constantly smile despite the inner pressure and pain. Here there is definitely pressure and pain as they talk about the disadvantaged in the villages, the poor, the suffering, the grieving we see that just because they are smiling doesn't mean they are not suffering. "Behind the Smiles" opens up Jane and Mike Fucella's heart for the people of this largely poor country and shows that pain and suffering can be helped by bringing God's love to those who need it. Bringing it practically, emotionally, medically and spiritually in a holistic sense by becoming part of the community in these places it allows them to speak life and hope into these people.